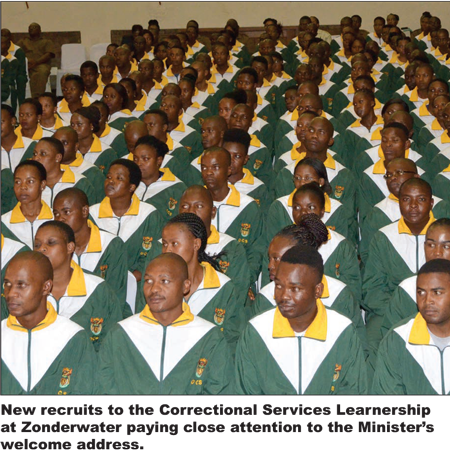 Minister Michael Masutha welcomed 461 new recruits to the Correctional Services learnership programme at Zonderwater Training College on Friday, 29 March 2019. He encouraged the learners to embrace and live by the ethos of our constitutional democracy, which is underpinned by respect for the rule of law and human rights. 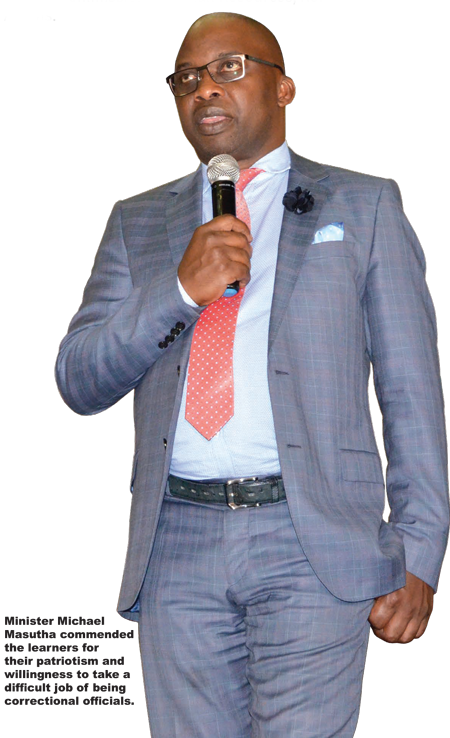 “You are going to be trained, not only to open and lock the gates of our correctional centres, but also to help change people’s behaviour for the better, he said. Altogether 900 learners have been recruited to the learnership programme in the department’s two colleges. Minister Masutha decried the scourge of corruption, which he said has permeated levels of government including DCS. He said the intake of learners was delayed because of allegations that marred the recruitment process. He implored the learners to make the right choices, and warned them that engaging in corruption has dire consequences for their future. He mentioned that the department loses about 1 500 officials annually, mainly due to natural attrition, and said that the intake of learners will help address the shortage of staff. “It is important that we keep on replenishing because in terms of the numbers, we are falling far short of the ideal staff complement that is needed to run a decent service,” said the Minister. He wished the learners success and expressed hope that they are participating in the learning because they love their country and they are willing to serve in a challenging environment such as DCS. 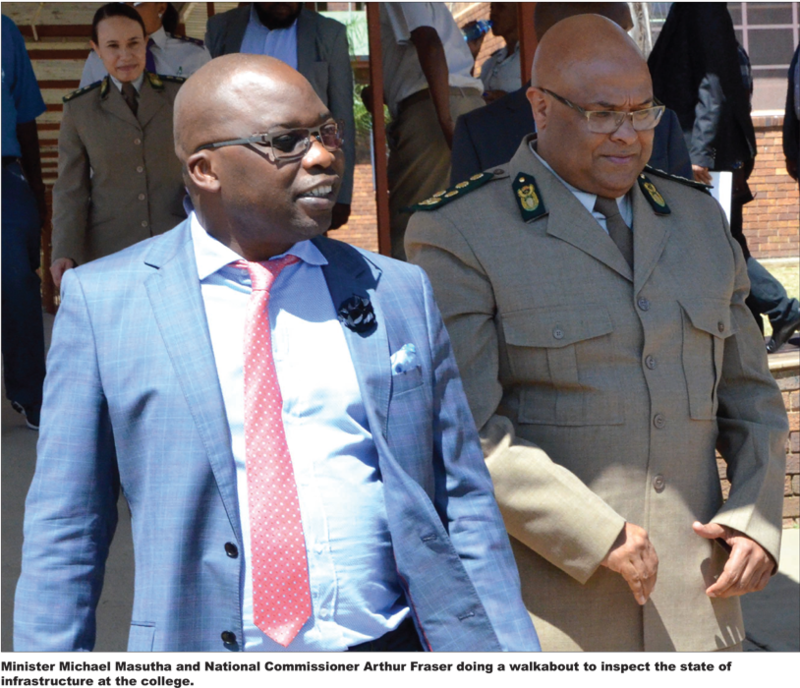 The event was attended by National Commissioner Arthur Fraser, Chief Operations Commissioner Mandla Mkabela and former Chief Deputy Commissioner Human Resources, Romeo Adams.